We've showcased a whole host of UK horse trainers on horsetrainerprofiles.co.uk and detailed the trials and tribulations of many a prominent trainer in the process, some from days gone by such and others firmly in the fray as we speak. Of those in the here and now in 2018 Mark Johnston and Richard Fahey have excelled over the flat, with the former already hitting the 200 wins mark this year. Dan Skelton over the jumps already has amassed 361 wins and (lucky!) 777 places from 1818 runs. So we've certainly established that there are some big hitters in the horse trainer world. Just as important though, is how well trainers perform in the big events and festivals. Much in the same way that athletes are remembered for their perfomances in World Championships and the Olympics, jockeys, horses and indeed horse trainers make the biggest impact and carve out a place in racing history based on their successes in the Grand National, Cheltenham Festival, Royal Ascot and so on. Take the legend of racing Red Rum, who made a name for himself on account of his three stunning Grand National victories in 1973, 1974 and 1977, rewarding many of those following Grand National tips. The impact of this accolade certainly boosted the reputation of jockey Brian Fletcher at the time too, as well as trainer Ginger McCain. McCain's son Donald Jnr (no relation to the orange terror in the Whitehouse!) trained the 2011 Grand National winner Ballabriggs. Racing success can often be a family affair. 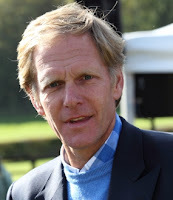 So which trainers have excelled in more recent years during UK captivating racing festivals? Truth be told there has been quite an even spread of trainer successes in recent years over the big events. The Cheltenham Gold Cup has seen some stand out performances though, by horses trained by a couple of well known trainers. Best Mate, ridden by Jim Culloty, won the Cheltenham Gold Cup in 2002, 2003 and 2004. He was trained by Oxford graduate and National Hunt specialist Henrietta Catherine Knight. Knight impressed in several other races at Cheltenham over the years. Another standout is horse trainer Paul Nicholls, with Gold Cup wins from 2007 and 2009. Impressively the Gold Cup wins came via two different horses, Kauto Star (in 2007 and 2009) and Denman in 2008. Nicholls also trained Neptune Collonges, the winner of the 2012 Grand National cementing him as one of the greatest trainers of his generation. Ginger McCain aside, in truth it's not an easy task to single out horse trainers in recent decades,who dominated the Aintree Grand National. That said, I'd say that a special mention has to go to Tim Forster, who experienced much success in the event for over the period of 15 years. He trained winners Well To Do in 1970, Ben Nevis in 1980 and Last Suspect in 1985. That level of longevity in such a competitive event is a rare achievement by any standard! After leaving the army, Martin Bell worked as assistant trainer to Mercy Rimmell and Paul Cole before taking out a training licence, in his own right, at Fitzroy House in Newmarket, Suffolk in 1989. His first Group winner, Pass The Peace in the Fred Darling Stakes at Newmarket, was originally bought for 9,000 guineas by his father, Brian, and subsequently sold to Sheikh Mohammed. The proceeds from the sale allowed Bell to buy Fitzroy House, which he had previously rented. In the last three decades, Bell has trained in the region of 1,400 winners and amassed over £24 million in total prize money. However, he is probably best known for his two Classic winners, Motivator in the Derby in 2005 and Sariska in the Oaks in 2009. Sariska followed up in the Irish Oaks at the Curragh the following month and, in between times, Bell also saddled Art Connossieur to win the Golden Jubilee Stakes at Royal Ascot. However, his most memorable winner, he said, was Hoh Magic in the Prix Morny at Deauville in 1994. The two-year-old filly, by Cadeux Genereux, ran on well inside the final furlong to win by 1½ lengths and record the first Group 1 vicotory for the yard. Bell later recalled, fondly, “Deauville is a special place and a very big day in the racing calendar”. In recent seasons, the Duke Of Marmalade gelding Big Orange has become the standard bearer for the yard, winning the Goodwood Cup two years running in 2015 and 2016 and taking his form to a new level when holding on gamely to beat subsequent Prix de l’Arc de Triomphe fourth Order Of St George by a short head in the Gold Cup at Royal Ascot in 2017. Formerly stable jockey to the late Pat Taylor and Stan Mellor, Tony Carroll first took out a public training licence in August 1995 and saddled his first winner, Queen Of Shannon, in an apprentice selling handicap at Windsor in August 1996. Carroll was initially based at Inkberrow in Worcestershire, where he spent the first ten years of his training career. In those early years, the majority of his horses were, at best, modest. 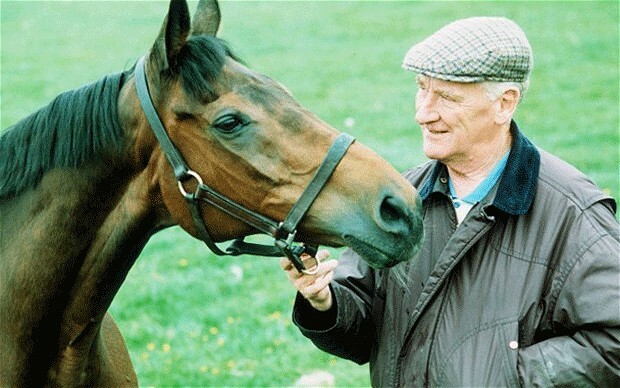 He enjoyed success with Cerulean Rose in the Zuhair Stakes at Goodwood, worth £10,725 to the winner, in July, 2003. However, his string was better typified by the likes of Macaw-Bay, who won three ordinary hurdle races between October 1999 and May 2000, Firestone, who won a couple of similar races in the spring of 2002 and Moving Earth, who won four races over hurdles and fences between 2003 and 2005. In response to increased demand, Carroll subsequently moved to larger premises at Wixford, near Stratford-upon-Avon. 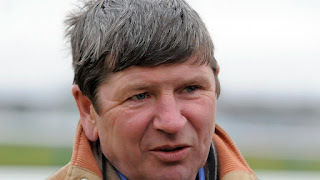 He enjoyed the biggest payday of his career, at that point, when Forthright won the John Smith’s Scottish County Hurdle at Musselburgh in February 2007, but has enjoyed all his major successes since moving back to Worcestershire in 2006. At that point, he took charge of purpose-built yard at Cropthorne Stud, near Pershore, and has continued to send out a steady stream of winners every since. He saddled his first Listed race winner on the Flat, Djarvo, in the Prix La Fleche at Maisons-Laffite in June 2011 and his first Listed race winner over Jumps, Le Bacardy, in the Scotty Brand Handicap Chase at Ayr in April, 2014. Two months later, Caspian Prince gave Carroll the biggest win of his career, so far, when holding on by a short head in the Investec Corporate Banking “Dash” at Epsom and repeated the dose when winning the Meydan Sobha at Meydan in the United Arab Emirates the following February. Another excellent money-spinner for the yard has been Boom The Groom, now a 7-year-old, who has won six of his 55 starts – all handicaps – on turf, Polytrack and Tapeta and earned the best part of £200,000 in win and place prize money. The Kodiac gelding hasn’t won since holding off Duke Of Firenze by a head in the valuable Symphony Group Stakes at York in August 2016, but his handicap mark has consequently dropped to 95, 7lb lower than at York, so he remains one to keep an eye on in sprint handicaps, especially those in which he’s likely to have a decent pace to aim at.